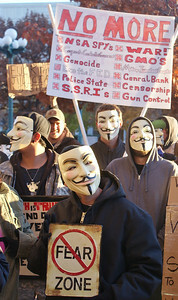 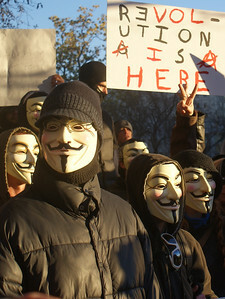 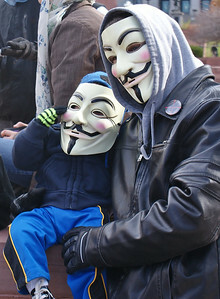 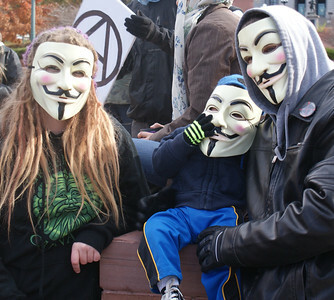 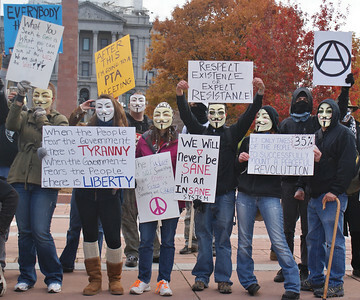 "Million Mask March" in Denver, one of hundreds held worldwide to protest economic inequality and political corruption. 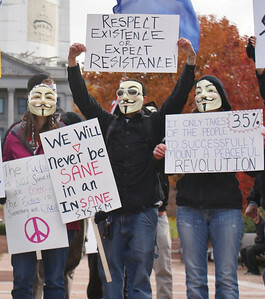 "Million Mask March" protesters gathered near the state capitol building in Denver and later marched through the city's downtown area. 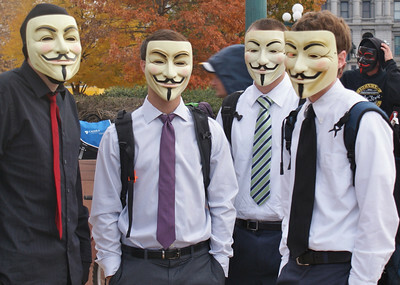 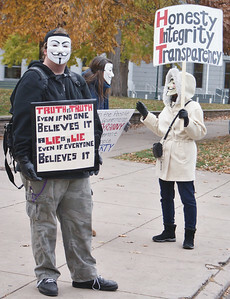 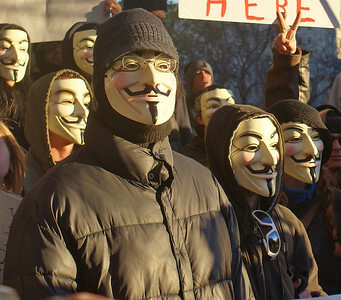 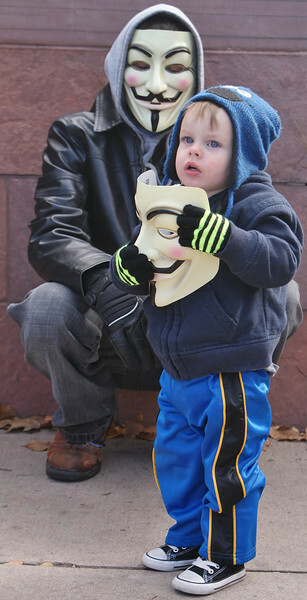 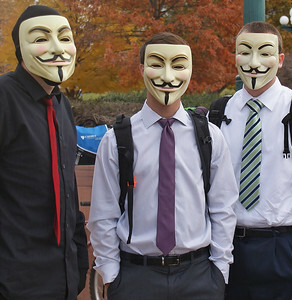 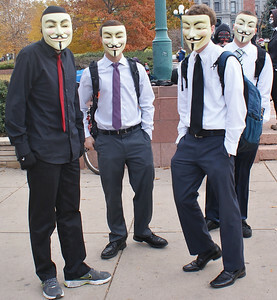 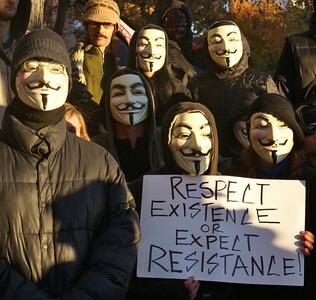 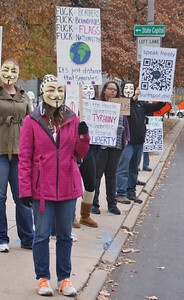 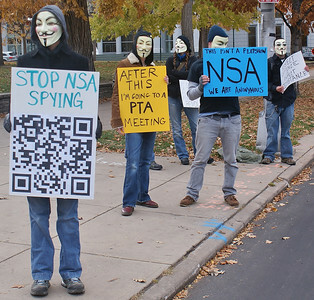 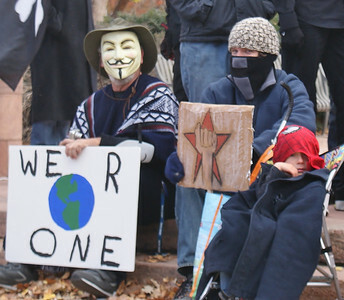 These students donned "anonymous" masks to join the "Million Mask March" in Denver. 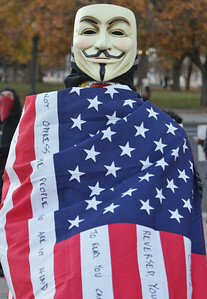 Masked protester displays American flag at "Million Mask March" in Denver. 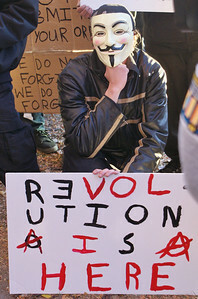 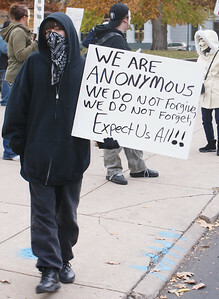 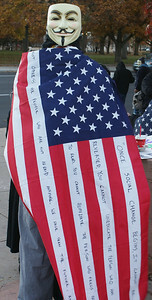 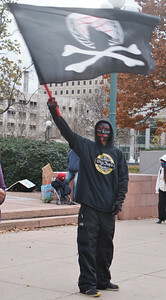 Protester at the Million Mask March in Denver, displays the "anonymous" flag.